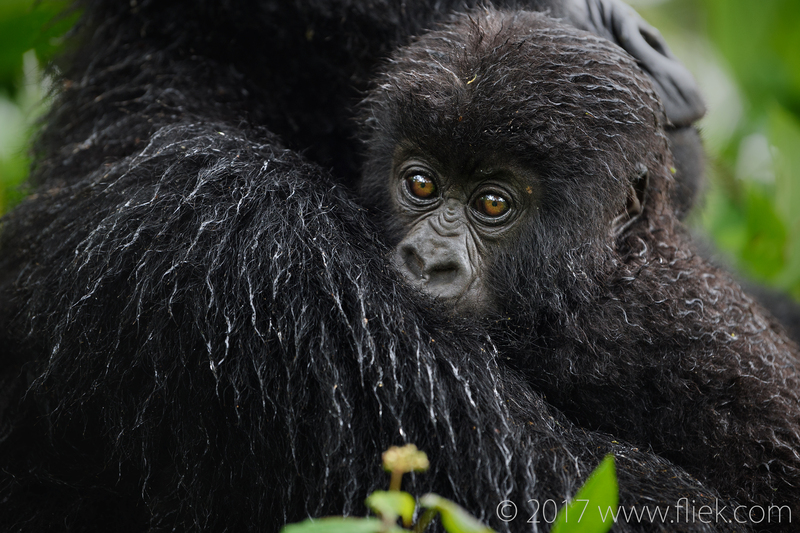 Many have seen or heard of the movie “Gorillas in the Mist”: the story of Dian Fossey, who lived and worked in the forests of Volcanoes National Park, Rwanda, studying mountain gorillas. 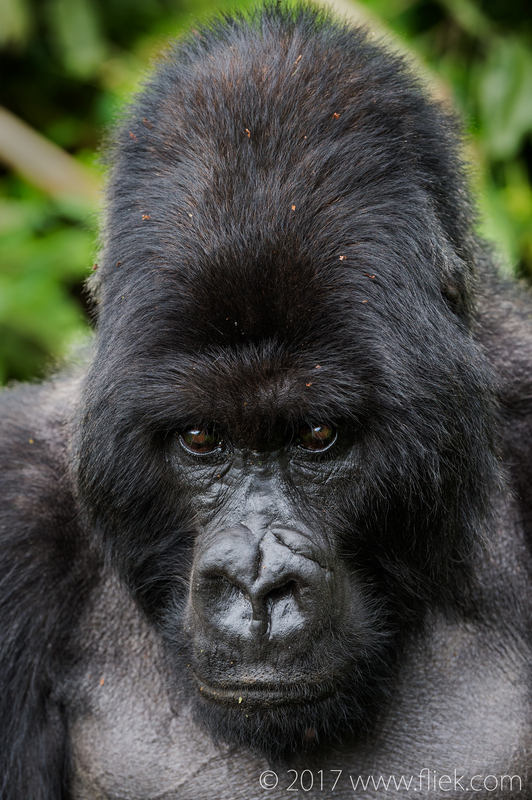 Her death remains unsolved, although it was clear she had been murdered, many believe by poachers. 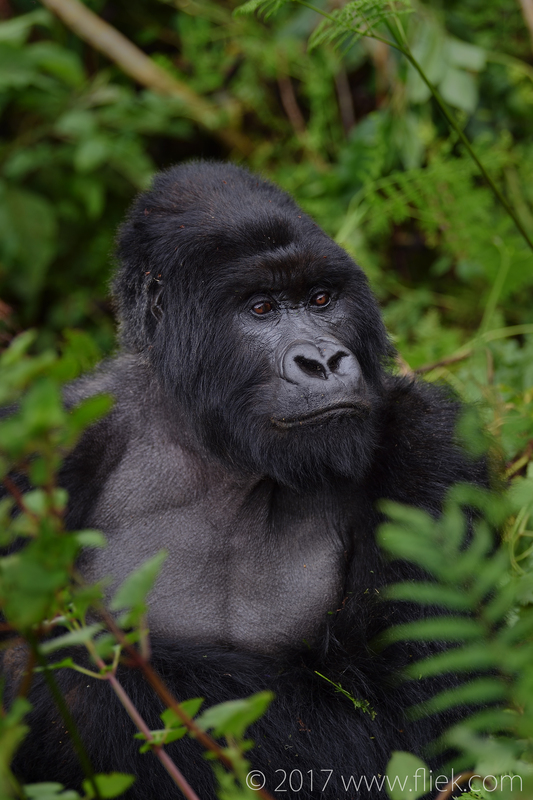 The Rwanda government picks up several million dollars each year from visiting tourists, effectively making the gorillas multimillionaires… And the government does everything to protect its multimillion dollar investment: the gorilla viewing trips are highly regulated – and protected by many mountain rangers in the park, armed to the teeth with, amongst others, kalashnikovs to deter anyone even thinking about taking the life of a gorilla. These forests must be amongst the most heavily protected in the world, and poaching here is equal to suicide. 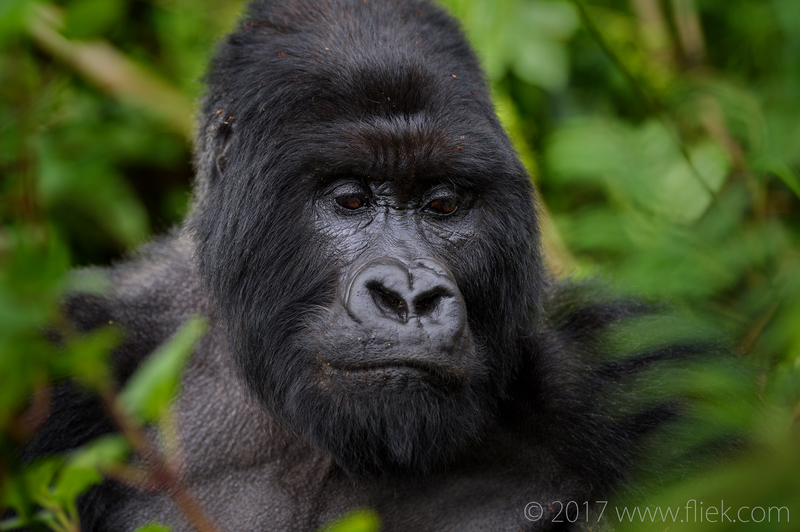 The challenge on the second day was a different one: where we found our gorilla group on the first day simply on the forest floor after about a 30 min. trek, on the second day our new group was having breakfast on a mountain slope. And there were no paths to the gorillas… So the park rangers simply made a path for us cutting away the vegetation towards the group. 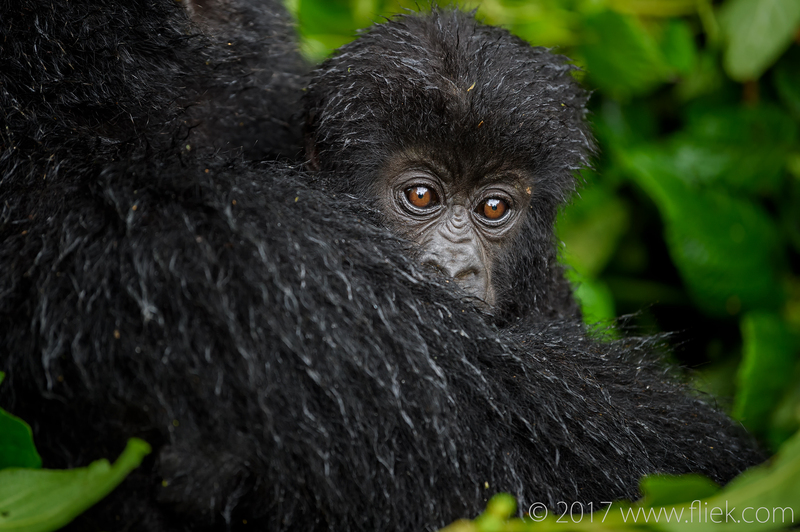 With the help of our amazing park guide (‘François’, one of the last park guides who actually worked for Dian Fossey!) 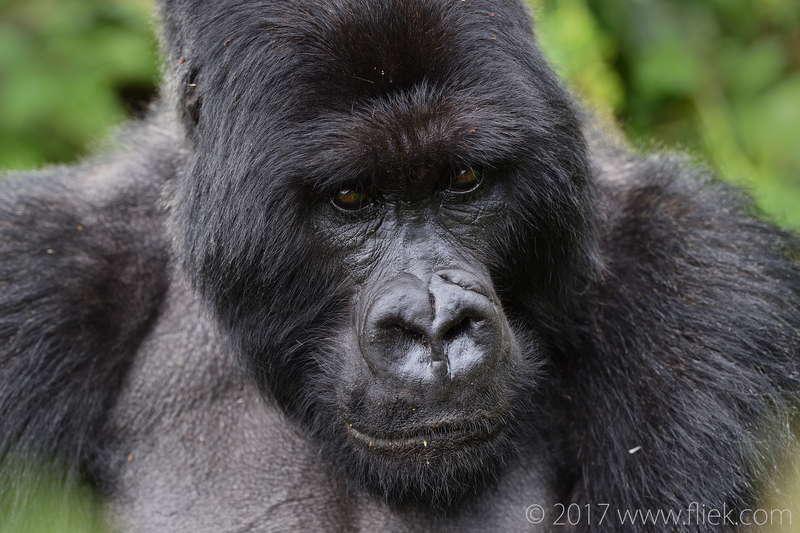 I managed to get a couple of portraits of the group’s silverback boss. The youngsters are the most difficult to frame within a decent composition and in focus: they’re just all over the place! When you’ve got them looking into one direction, they’ll change their position causing you to re-compose your image, after which they’ll change position again, and so on… They’re also highly playful, and will sometimes approach you for a game. Fortunately the park guides are always nearby to tell them ‘no not now!’ after which they will back off again and play with their own family & friends. The whole idea is that they shouldn’t get too used to humans, and must be protected from human diseases as well. 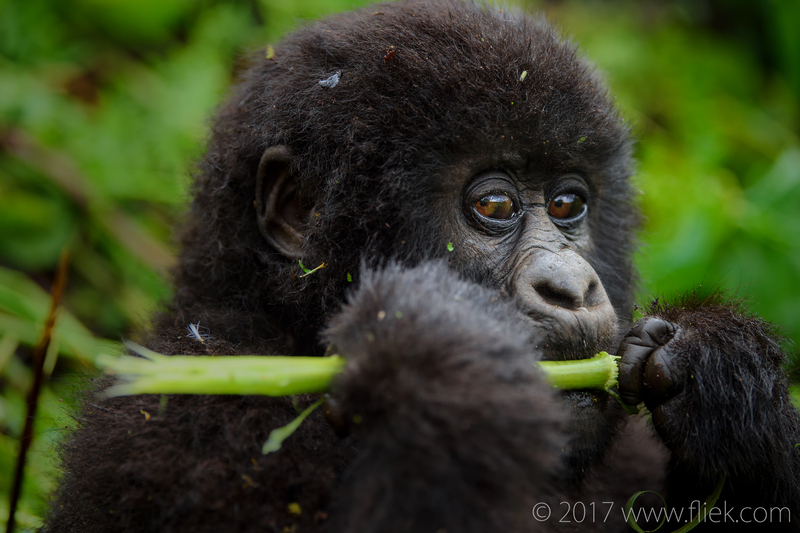 Interestingly, Dian Fossey was an opponent of gorilla tourism, yet this tourism is the very reason why the mountain gorillas of Volcanoes National Park, Rwanda are thriving, and earning millions for Rwanda and the Rwandese people. An amazing, life-changing and unforgettable experience.